With over ten years of experience in (medical) market research, Marcel Slavenburg has grown into a highly experienced qualitative researcher and moderator, mastering all aspects of the qualitative research process in great detail. As Research Director Qualitative he is one of the driving forces behind SKIMs Qualitative Research Expert Team. Projects moderated are diverse and include market exploration, treatment pathway / customer journey analyses, positioning studies, concept and ad testing, and patient studies, generally ranging from highly structured to completely unstructured. He particularly enjoys the use of creative techniques and is willing to try out challenging and innovative ideas both online and offline. 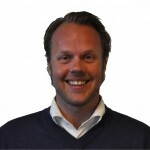 Marcel obtained his Master’s degree in International Business Communication Studies in 1999 (Radboud University Nijmegen), is a sworn translator and moderates in English and Dutch.